Ideal for Wedding receptions, breakfasts, corporate lunches, product launches, conferences etc. The perfect background for your event. Available as a solo pianist or with a singer. Also available as the Acoustic Sunset trio featuring a guitarist and singer. From Coldplay to Cole Porter, Jessie J to Ella Fitzgerald a unique interpretation of the best songs ever written. All styles are covered from light classical, jazz, easy listening, pop, country, folk and even traditional music. Also available is the 'Piano Bar' where you become the star! See if you can beat the pianist and ask him to play it again Kev! "I have worked and performed with Kevin Hall for many years. I have also privately hired him in his capacity as a solo pianist. 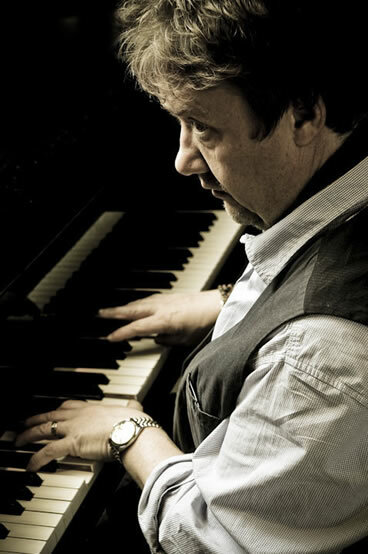 I can say in all certainty, that he is one of the very best and most talented piano players in the business. He is easy to work with and possesses a vast knowledge of contemporary songs. From jazz to pop he is pure entertainment! " "'Here at the CBS Group we have used the services of 'Kevin Hall' on many occasions. The comments to date have all been very impressive and positive, from time keeping to attention to detail. His repertoire of music is vast and he always manages to provide the right style of music for any event. We would always recommend him. "